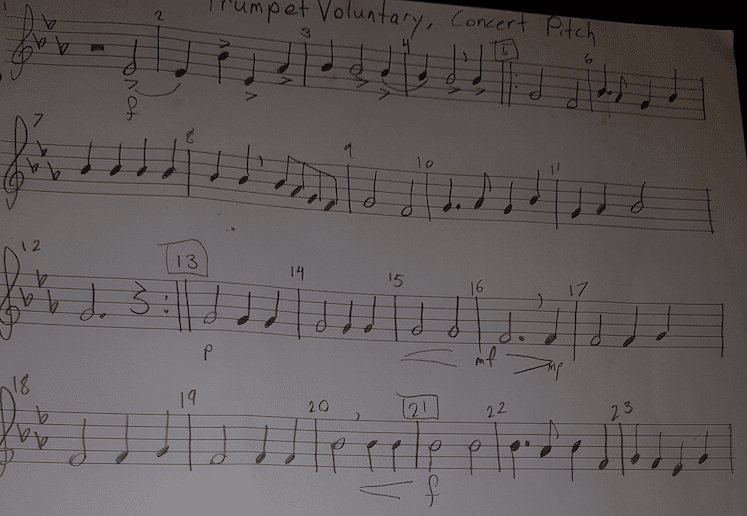 Above is trumpet voluntary written in concert pitch so you can use the piano to check pitches while practicing the horn version. 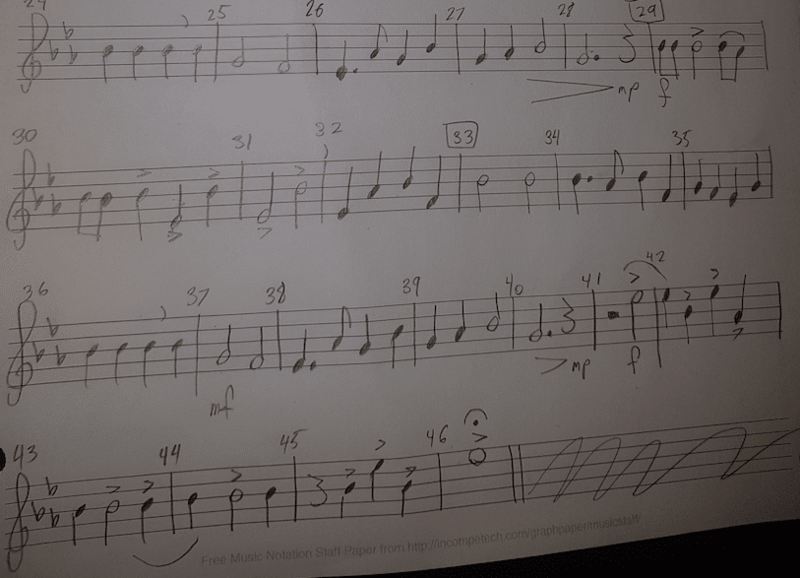 try to make the switch to primarily B flat side (thumb key) fingerings for this piece specifically. Write them in. play along with an E flat concert drone track (like this https://www.youtube.com/watch?v=jgFNsz_9w4A ) to have a reference point for pitch. practice in small units. don’t just play through the whole thing and hope you make it to the end. the piece will get much easier much faster if you break it into smaller chunk. Isolate specific bars, phrases, intervals, even just specific notes.